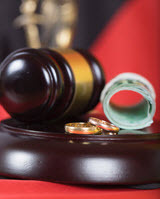 A decision made in December by a federal appellate court (United States Court of Appeals for the Sixth Circuit) will have broad implications for divorces that also involve qualified domestic relations orders (QDROs) under the Employment Retirement Income Security Act (ERISA). In its decision, the court decided that a deceased employee’s life insurance proceeds should go to his minor child instead of his named beneficiary because a divorce decree contains all of the information required for a QDRO. In doing so, the decision now provides guidance as to what constitutes a QDRO for all ERISA plans. When the couple at the heart of the case—Bruce and Bridget Jackson—divorced in 2006, as part of their divorce agreement, they agreed that any and all benefits from employer-related life insurance policies would benefit their daughter until she turned 18 years old and/or graduated from high school. Still, at that time, the employer-sponsored life insurance policy listed the beneficiary’s uncle as the sole beneficiary, and no one bothered to adjust it. Seven years later when Bruce died and the issue went to court, the district court ordered the life insurance company to pay his daughter the life insurance proceeds because the divorce decree sufficed as the QDRO by specifying her as the beneficiary under ERISA. If you are going through a divorce and a life insurance policy is at stake, you want to ensure that you work with experienced legal representation in order to ensure that your loved ones remain protected, both throughout the divorce process, and in the years thereafter. The last thing that anyone wants is for their children to have to go to court to obtain the benefits intended for them. At the Arwani Law Firm ,, we offer comprehensive divorce representation, including complex cases that involve high asset life insurance policies. If you live in Florida, contact our Orlando complex divorce attorneys today to find out how we can help.